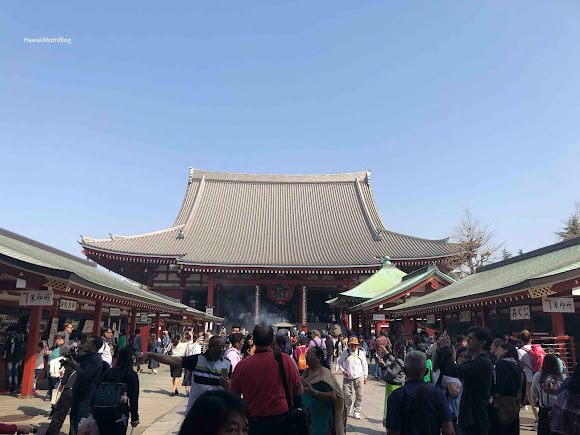 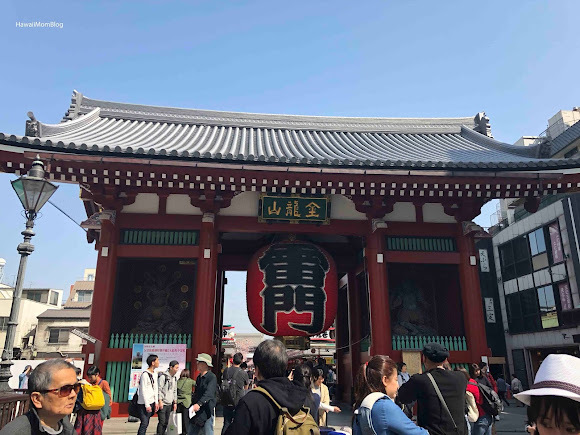 Sensoji is Tokyo's oldest temple, having opened in 645. 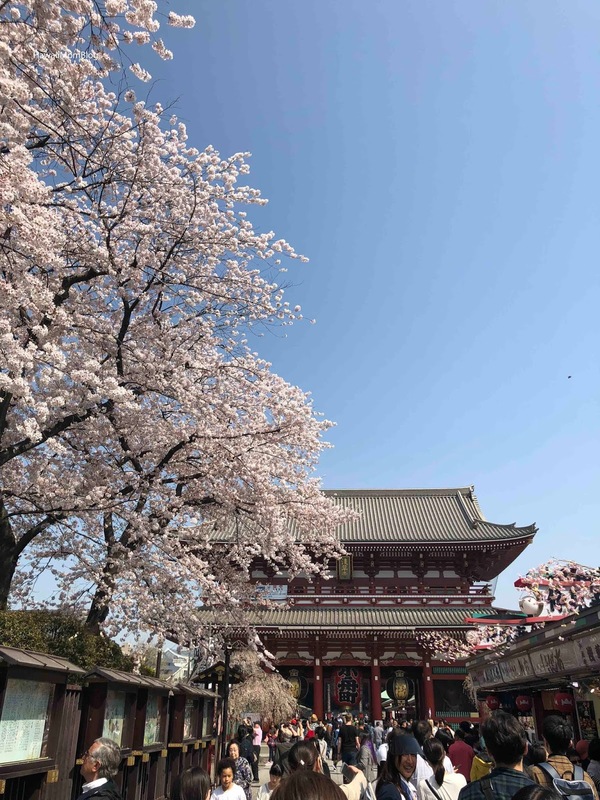 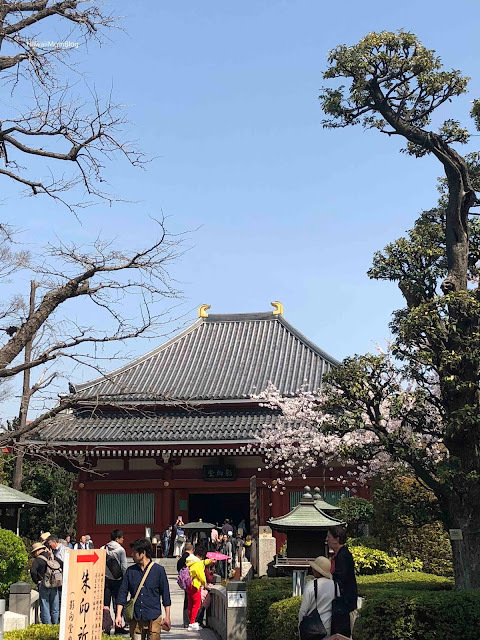 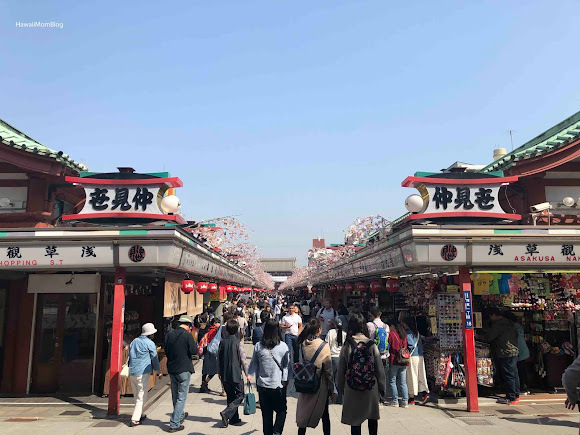 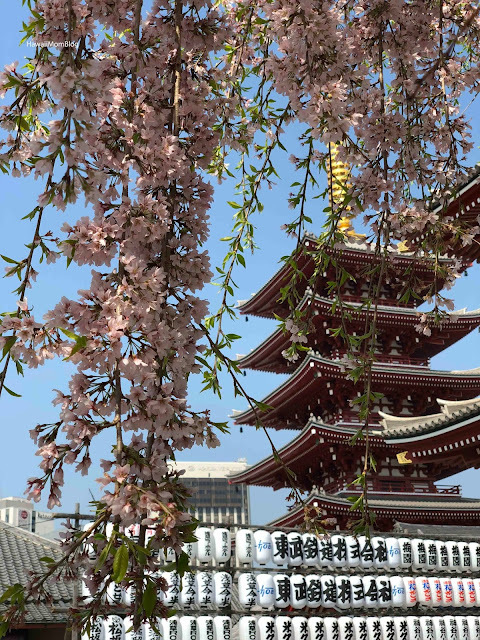 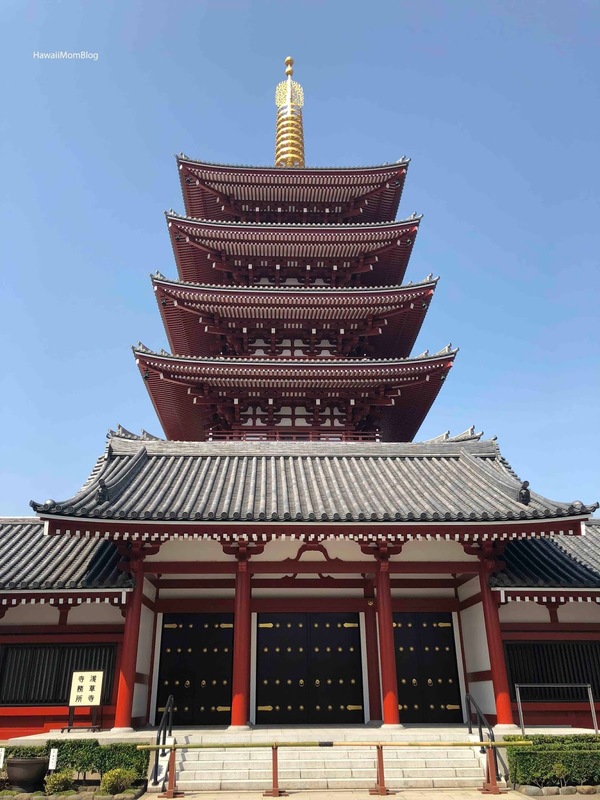 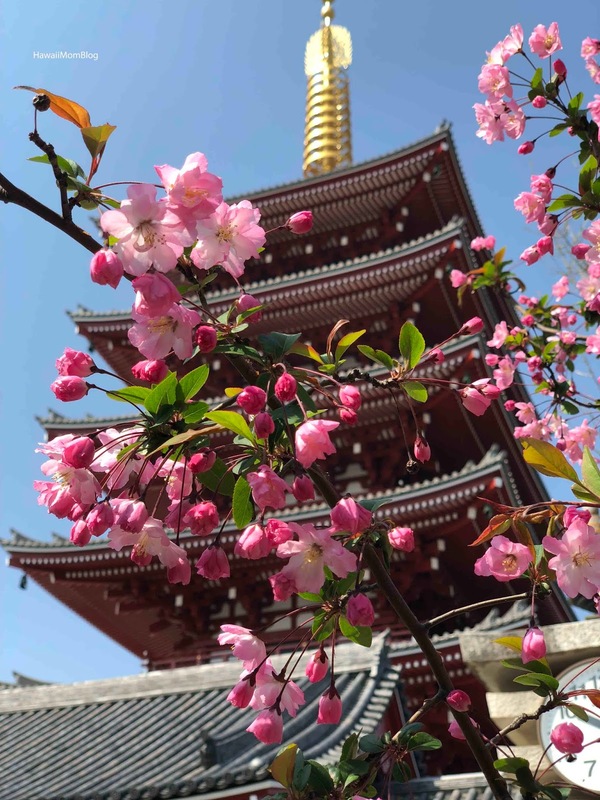 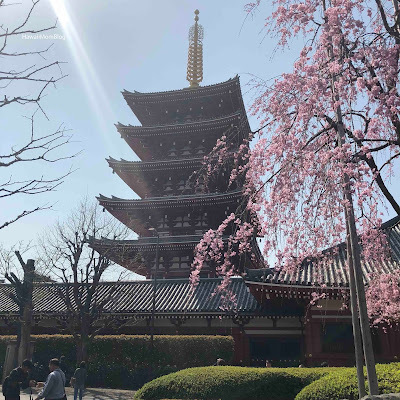 After entering through the Kaminarimon and walking along the Akasuka Nakamise Shopping street, we, we approached the Hōzōmon and made a quick walk-through of the temple grounds to take photos of the five-story pagoda and the surrounding blooms. It's a very picturesque area, and I hope on the next visit we'll get to explore more of the temple grounds.